This piece is simple and interesting. 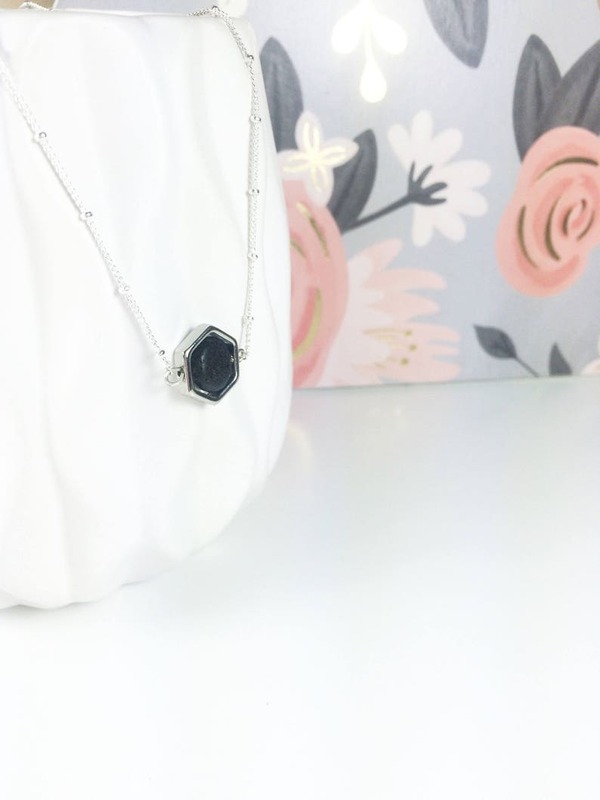 A small, 10mm flat lava stone encased by a small silver plated hexagon on a beautiful detail chain. Duration of aromatherapy is dependant on type and concentration of oil used. My essential oil diffuser line has grown and I truly love every piece. Not only is the necklace beautiful, it arrived fast and the seller added a pair of sparkly earrings as a gift. This was exactly what I was looking for. A dainty oil diffuser necklace. Beautiful! Package came in about a week from ship date.